When Mohamad Alo and his family arrived in Birmingham after escaping from Syria in 2011, they knew no one and spoke no English at all. Six years on and Mohamad will soon become a fully qualified lawyer. He is probably the first Syrian refugee to achieve this goal in Birmingham, and likely one of very few in the country. Migration and asylum are one of his specialist areas. That’s why he decided to start volunteering, he explains, to help others in the same situation. 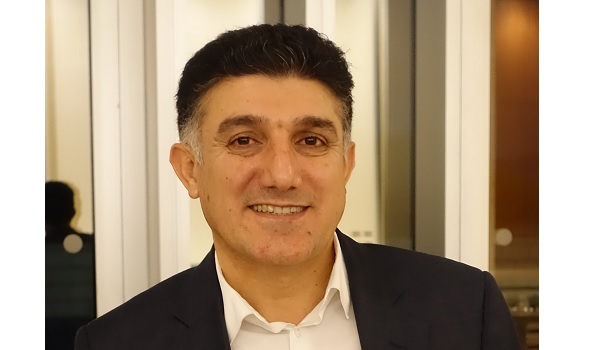 Mohamad volunteered there for three years, then, in 2015, he started volunteering at ASIRT (Asylum Support and Immigration Resource Team) and later at another couple of charities, helping refugees, asylum seekers and local communities. In Syria he graduated in law and worked as a solicitor for 13 years; his wife studied philosophy and later worked as a teacher. They were happy and had a good life there before the war, but they lost everything, Mohamad says. Despite his degree and long professional experience in Syria, Mohamed was not allowed to work as a lawyer in the UK. He had to re-qualify within the British system. He first did a Masters degree in Law at Roehampton University and, after first working as an Arabic teacher in a school, he started a job in a law firm in Birmingham under the supervision of fully qualified British lawyers. Mohamad is currently attending that course and will complete it this year. Since he arrived in the UK, Mohamad has been juggling his studies, work and volunteering. He is acquiring a lot of experience through his paid and unpaid work and helps as many refugees as he can. Mohamad still has brothers and sisters in Syria and he’s worried for them. Leaving the country is not easy and they aren’t currently able to move to a safer place. His family in the UK, however, has been able to create a good life. His wife recently completed a Masters degree in Health and Social Care and is now looking for a job in this sector, while working as a part time Arabic interpreter. Their children are finding success too – their oldest daughter is an undergraduate student in Biomedical Sciences at Oxford University and the youngest daughter, who is only 10 years old, has been recognised as the best student in English at her school.